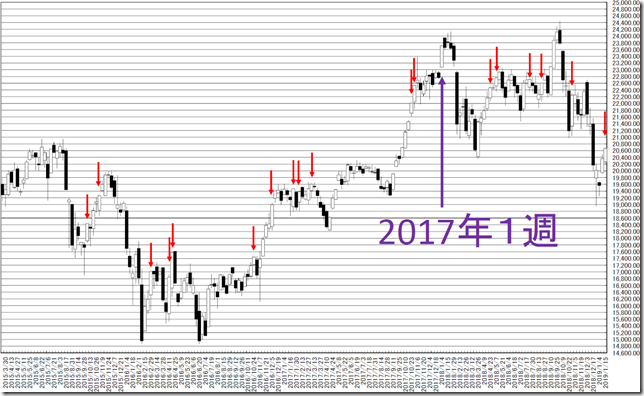 NIKKEI 225 weekly is “HAGURO” No.4 formation; “Sell on High” worked well in last year. Our conclusion is “Sell on High” worked well in last year. In this week, N225 formed “HAGURO” No. 4 formation. In past 200 weeks, N225 price formed “HAGURO” No. 4 formation was 18 times. Rally will be difficult and sell on high worked well. In last year, this method worked well.